Ironwood Brokers & Insurance Marketing is an insurance wholesaler specializing in the following niche products: Workers Compensation, Agents E&O and Real Estate Investment Insurance (REI). Ironwood is available to licensed retail insurance brokers nationwide with a main focus on California and Arizona. We work for you and strive to provide quick and accurate quotes. Our experience and high standards for customer service are making us a leader in the industry. Ironwood is uniquely positioned to provide insurance solutions by the unmatched financial strength and expertise of our Insurance Carriers. We focus on middle market and large risk cases. Ironwood Brokers & Insurance Marketing is located in Laguna Niguel, California and was founded with a commitment to provide the highest level of service and competitive products for independent insurance agencies and brokers. Our dedication and focus is to provide products, tools and resources for the independent agent/broker while delivering a level of service that is expected and strengthens our bond with our clients. Please navigate our site for access and information on our products and services. 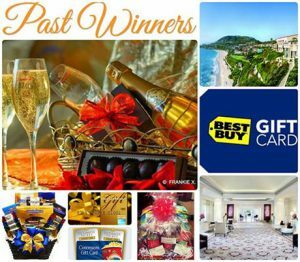 Ironwood hosts monthly and quarterly incentives where you can win an assortment of prizes from Gift Cards to Movie Packages to Mystery Baskets to Luxury Trips. Ironwood has access to 12 different Workers Compensation Markets, check online with our eligible workers comp Class Code Search. Get appointed today with Ironwood and get access to competitive Workers Compensation Markets, products and services. Learn more about our products and services including Workers Compensation, occupational accidents and PEO programs.